Did you know that actual mildew can grow on the side of your home? There are lots of things that lurk around the corners of your home that you’re unfamiliar with. 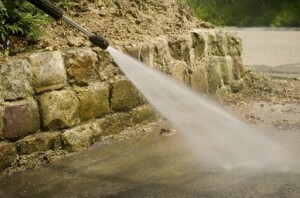 As a homeowner, you need to find a Ringgold pressure washing service to take advantage of. A pressure washing will get rid of that grime sticking to the sides of your home and leave you with a beautiful home that’s worth putting money into. If you want to take part in the pressure washing in Ringgold, make sure that the contractor you hire o knows what they’re doing. There’s nothing like hiring a contractor and being left with a dirty home even after they are done with the task. Trying to get a hold of them again, in order to complete the job, will be merely impossible. Your home will have a brand new look to it. Are you sick and tired of always making excuses about the looks of your home? Take charge and give it a whole new transformation for the exterior by having it pressure washed. A refreshed appearance may be all that it needs to be back on the block with your neighbor’s homes. The value of your home is going to go up just by having a pressure wash done to it. If you decide to sell your home, then you’ll be happy to know that you’re going to get more for it because you took the extra time to spruce it up. Now that should be the an incentive to want to have it pressure washed. A Ringgold pressure washing will also prevent further damages to your home. The exterior of your home is going to last a whole lot longer than if you didn’t have it pressure washed. The paint on your home is affected by lots of things that include weather and grime. You need a good coating of exterior paint and a pressure wash to complete it. Prevents mildew and mold from growing. Moisture is the leading cause of mold & mildew build-up. Moisture combined with humidity can develop into mildew and mold. If you want to avoid this, then go a step further and have a pressure washing done. Your home will be improved and so will your confidence. You’ll no longer be embarrassed about the look of the exterior of your home. You’ll have so much confidence built-up that you’ll be hosting this year’s holiday parties. 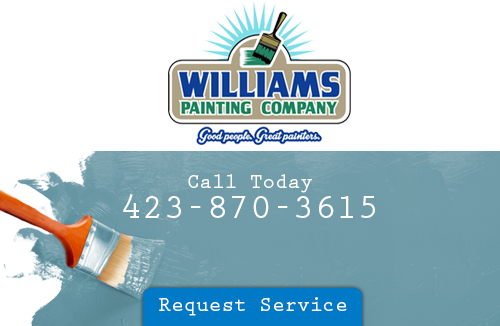 Just go with the Ringgold pressure washing service from Williams Painting Company. If you are looking for a pressure washing service in Ringgold, please call 423-870-3615 or complete our online request form.